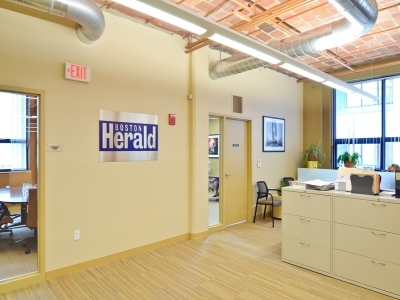 The Boston Herald, one of the Nation’s oldest daily newspapers serving the city and surrounding areas, relocated into its new headquarters in the city’s Seaport District. 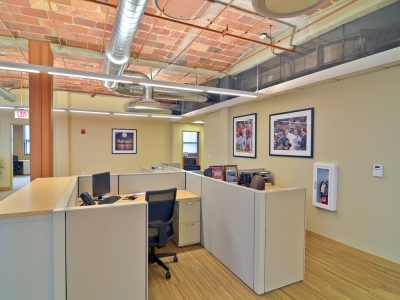 Now located at 70 Fargo Street, the headquarters consists of 50,000 square feet of space across two floors in the Seaport Center and features a highly collaborative work space and a state-of-the-art newsroom, enabling widespread communication among all of the unique platforms the paper provides. 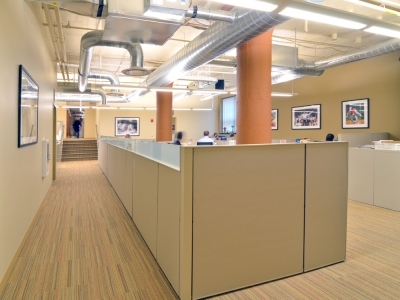 DPM provided the Herald with comprehensive project management oversight. Also included was the engagement and management of the design/build team, along with a host of other specialty consultants, evaluation of cost estimates, value engineering, review of all design and construction documents as well as FF&E and move management services. 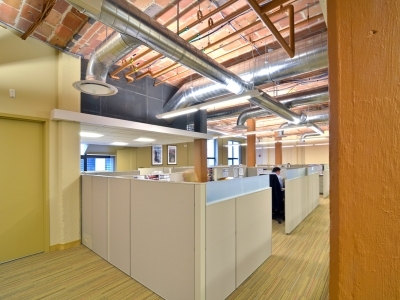 The relocation occurred over three phases to minimize downtime and ensure a seamless transition into the new space.